Once again, we’re rolling around to the most wonderful time of the year – Halloween! 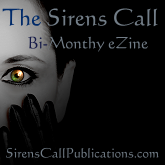 For the 41st issue of The Sirens Call eZine, we’re looking for your best creepy stories, bone-chilling poems, and horror-riddled prose. Seasonal or not, we’re always looking for good dark fiction, or works of straight-up horror to include. 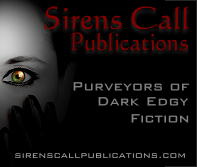 Our 40th issue of The Sirens Call eZine comes in at 113 pages and features short stories, flash fiction, and poetry of dark fiction and horror, some of which is themed for the season! It also contains image prompted prose by Pen of the Damned, along with featured author Lee A. Forman, plus an excerpt from his new novella Zero Perspective.